Parkway Schools! 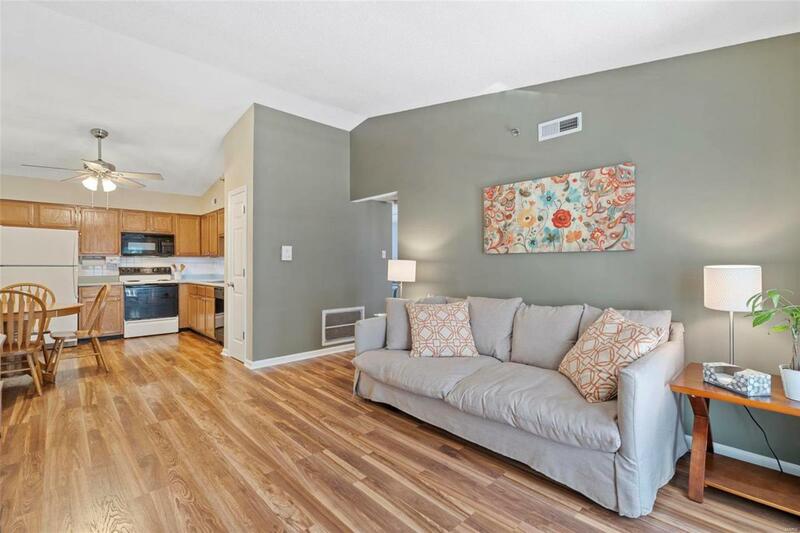 This wonderful 2 bedroom, 2 bath condo with an open floor plan is a move in ready! 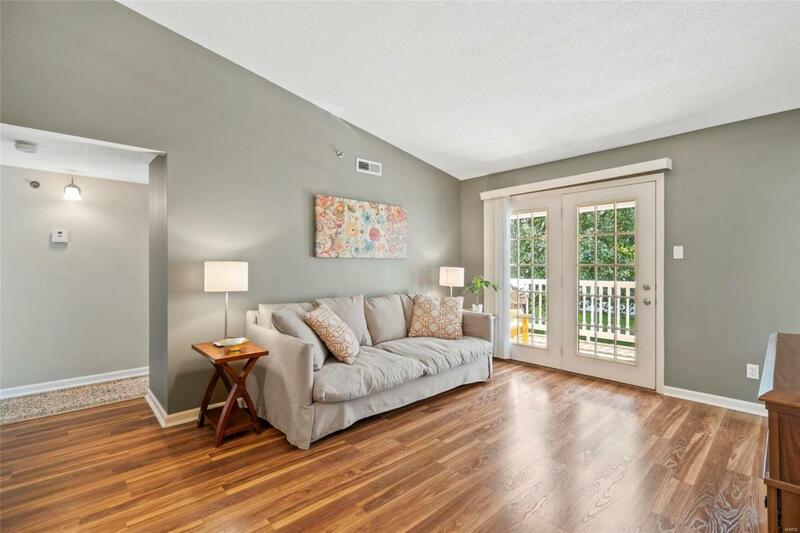 The living room has a vaulted ceiling and French doors that lead out to a covered deck with storage overlooking trees and backs to common ground. 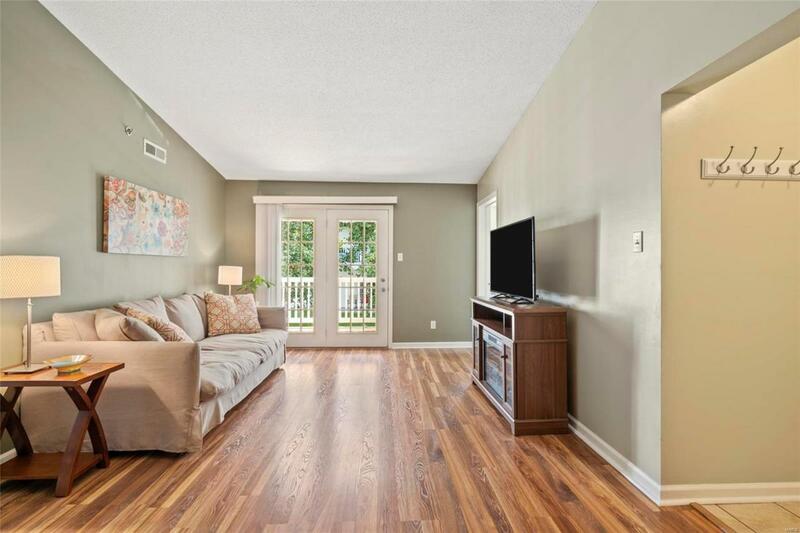 Laminate flooring in kitchen and living room; Kitchen offers tile backsplash, lots of oak cabinets and kitchen refrigerator stays! Both bedrooms feature new carpet and walk-in closets. Bonus room off the vaulted family room providing built in bookcases is ideal for home office or craft room. Private laundry room comes with a full size washer and dryer that are included. One assigned covered parking space. 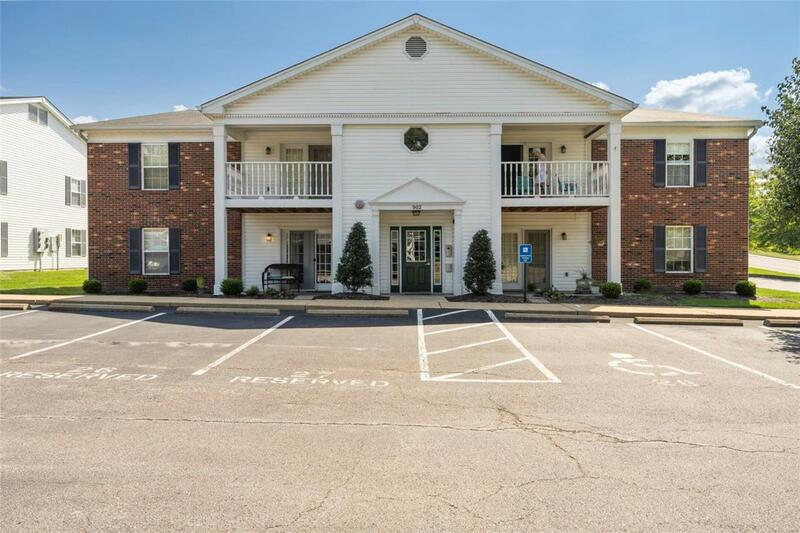 Water, trash & sewer are all included in monthly fee; Care free living, secured building entrance, convenient location to shopping, restaurants parks and trails, all appliances included makes this a great opportunity for home ownership. Just minutes west of Hwy 141 offers convenient commute.